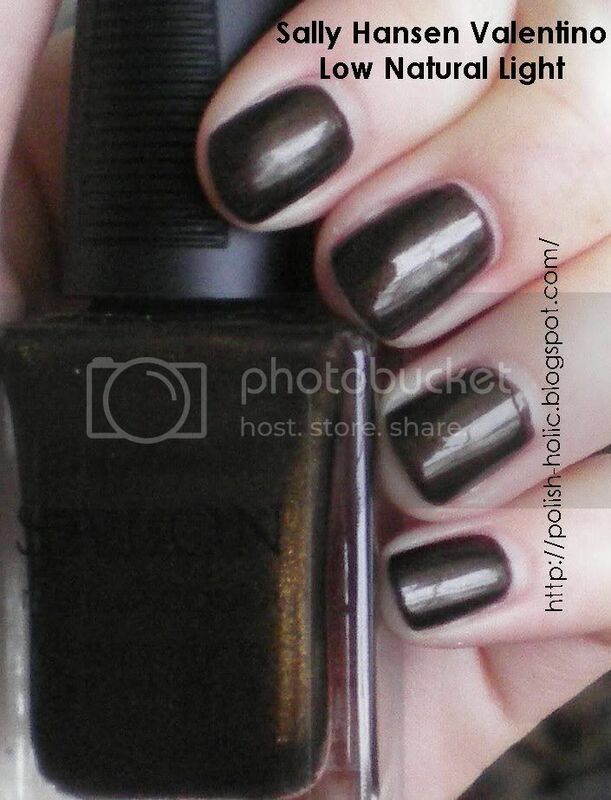 This is a dark brown polish with predominantly gold shimmer. There's also a wee bit o' pink and green shimmer in there. Holy, I love this dark chocolate colour. It actually really reminds me of the Nubar Chocolate Truffles collection. This is two coats and one coat of Poshe top coat. Goes on really smooth. Found that the brush was a bit long though, made control just slightly harder than I'm used to. But not a big deal. Overall, if you like browns, or dark colours, definitely give this one a try. But I've been told these guys are rare. Anyhow, my brain is broken, if you want to know more about the polish, just ask. That's all for now, darlins'. Hahaha, thanks. I love it! Aw, that's really too bad. I love brown polish. It is definitely nice. Thanks for looking!